Category: Apps, Free, iPad, iPhone. 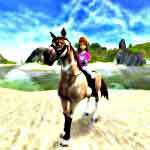 Tags: Baby horse, Best, Fun, Girl, Horse breeding, Horse competitions, Horse farm, Horse racing, Horse racing, Kids, Realistic, Unicorn, Video. 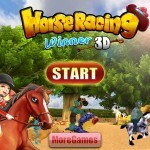 Breed horses & win trophies with the cutest game ever! Who doesn’t dream of owning their own farm? 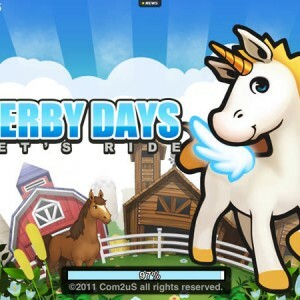 Definitely on the cutesy side, Derby Days on iPad or iPhone allows you to live your life as a real horse breeder or farmer. 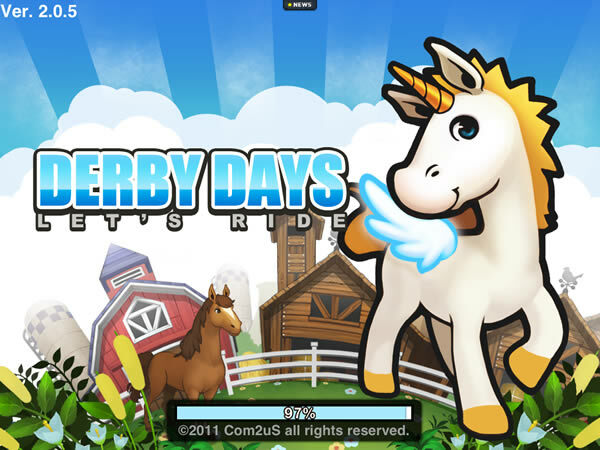 I liked the bright and soft graphics of the horses, and the farm is large with many different sections to explore. Jenny, a sweet, pumpkin-headed scarecrow, shows you around and helps with everything you need to know about running your own horse farm. 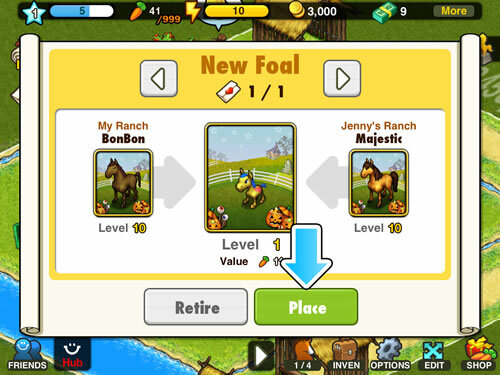 The app starts with you naming your farm and your first foal, which is all free. Then, you start training and competing in local races. This allows you to earn coins to buy everything you need around the farm, and you will need a lot. 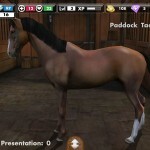 You create everything about your farm and stable, like the buildings, the stables and the horses. The app is totally simple enough for younger players to enjoy. Jenny points out all the stuff you need to buy like oak boxes and feed for the horses, just like a real farm. You have to be careful here not too overspend real money. Your coins earned from races only goes so far. To really get into the game, you may need to spend real money. You can also invite your friends to play with you, or meet other players who happen to be playing at the same time. Sometimes you can see other horses, or players, in open community areas. Also, you can ask other players if they are willing to breed your horse with theirs. Jenny helps you message a player, and then you wait for approval. It’s really easy. After the breeding period, you get the cutest little baby horse to set up into his or her own stable on your farm. This was my favorite part of the game. The tiny foal is so much fun to play with. Then, you place the foal’s barn somewhere on your farm. There is so much to do in this game. I was never bored, and new themes come out all the time, like Thanksgiving or Halloween. 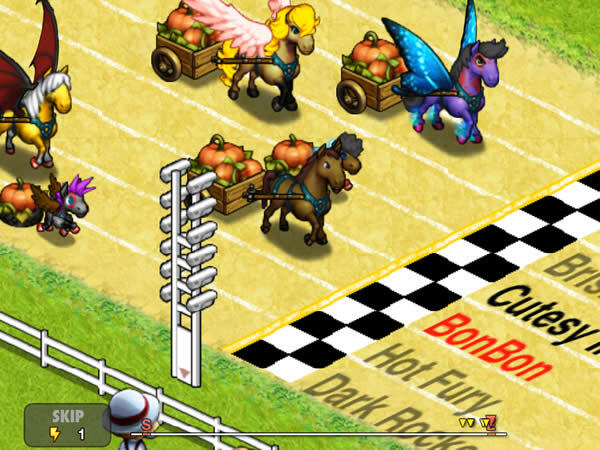 What I like the most about this app is the races are easy to play, and it helps you do everything you need to run the best horse farm possible. But, you must be warned that you will end up spending real money to buy their coins.